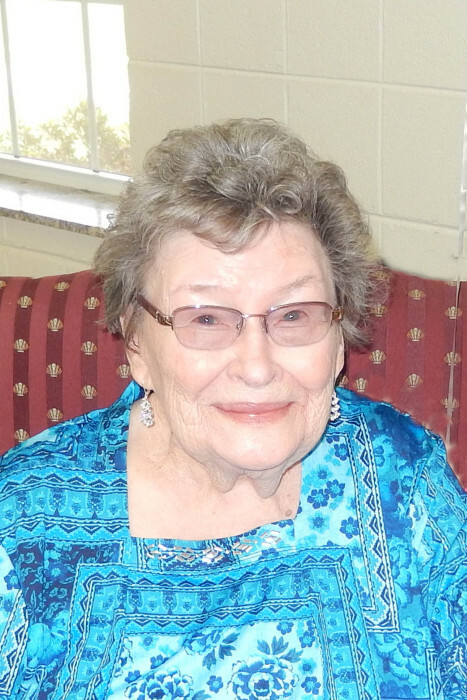 Thelma Holt Caudle, age 90, of Shoals NC, passed away on Sunday March 24, 2019 at Wake Forest Baptist Medical Center. She was born in Surry County on March 13, 1929 to J. Sanders and Nettie Johnson Holt. Thelma retired from Westinghouse TCP after 21 years of service. She was a member of Fairview UMC Church. She was an avid reader and diehard Carolina Tarheels Basketball fan. She enjoyed crafts including crochet, tatting and water color painting. She was a loyal friend and best mom ever.Survived by two sons, Terence D. Caudle of Shoals and Timothy M. (Lisa) Caudle of Dobson, one daughter, Dr. Crystal L. Caudle, MD of the home and one daughter of the heart, Dalida A. (Robert) Bucknall of Tobaccoville. Two sisters, Glennie H. Gallimore of Pinnacle and Betty H. Jones of King, and one sister-in-law, Sue Holt of Kernersville. Two grandsons, Daniel S. Caudle and Zachary J. (Carrie) Caudle and one granddaughter Sabrina C. (Sean) Courter, five great-grandchildren, Anthony, David, Raegan, Piper and Corbin, a group of very special ‘girls’ including Rachel, Angie, Pam and Sheila, several nieces and nephews including a special niece Judy Logan Cockrum and two four - legged babies, Sasha and Lexi.Predeceased by her husband, J. Zane Caudle, parents and a brother Joseph “Sandy” Sanders Holt, Jr. A graveside service will be conducted on Wednesday, March 27, 2019 at 11:00 A.M. at Fairview United Methodist Church Cemetery, with speaker Buck Marion officiating. Flowers will be accepted, or memorials may be made to St. Jude Children’s Research Hospital or Fairview UMC Church Cemetery Fund c/o Buddy Marion, 3562 Quaker Church Road, Pinnacle, NC 27043 or Gideons International.Cox-Needham Funeral Home of Pilot Mountain (http://www.coxneedham.com, www.facebook.com/coxneedham) is respectfully serving the Caudle family.